“It’s supposed to be hard! If it wasn’t hard, everyone would do it. The Office Manager – Reading Clinical Notes Like You Used To! American Association of Dental Office Managers – The Lay Off Aftermath! Aruba Inventory Management – “The Privileges Advantage”! This Week from the ADA – Transfer of Value Regulations! Product Review – Sockit Healing Gel! 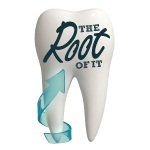 “The Root of It Commentary – Reality Check – Dental OSA Diagnosis & Treatment! Reading Clinical Notes like you used to! With more offices every day transitioning from paper charts to electronic charting, we need to find the most efficient ways to not only document in the clinical record and view the information without having to click all over the place. From my experience, most doctors and hygienists want to be able to review their patients’ charts for the day and be able to quickly see what was charged and read the clinical notes together on one screen (similar to what they could see in the old paper charts). Today, let me share a view in the Dentrix chart that does just this. If you open the Patient Chart and click on the Progress Notes default chart view, you will be able to view a larger screen of the patient’s clinical notes. THE LAYOFF AFTERMATH: KEEPING YOUR REMAINING TEAM AND YOUR HEAD TOGETHER! It’s an unfortunate truth that, as practice managers, one day we may have to layoff one or more of our employees due to financial hardship. We hate to do it, but we also know it is necessary to ensure the survival of our business. Of course, a layoff doesn’t just end with informing the employees you had to let go, and the ensuing unemployment claims; it also requires a sensitive and thoughtful approach to informing your remaining employees of why the layoff was necessary and addressing their concerns and questions. Below is guidance to help you through this process as painlessly and drama-free as possible. After the layoff notifications are complete, it’s advised to meet the remaining team members to regroup as soon as possible. • Allow for at least 30 minutes. Aruba EZ Inventory Control Software…………………….. This Week’s User’s Tip! – The Privileges Advantage! The Aruba inventory management system will save you time and money but there is an added “personal” advantage. 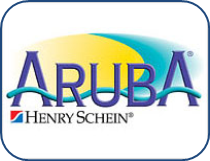 When you become a Henry Schein Privileges Club Member, every time you use the Aruba system, you will earn “Privileges Points”, 1 point for every dollar spent. The Privileges Program is completely separate and does not affect any other discount or special pricing program we arrange privately. It is an extra based on customer loyalty. Now for the big question, what is the Privileges Club? Privileges Club Membership is free of any charges. The only qualification is that your office is a loyal Henry Schien family member. As a member you will receive all type of “un-advertised” discounts and specials on supplies, equipment & equipment service, pus access to the Privileges On-Line Catalog of gifts. Earned Privilege Points do not expire for 3 years and who knows, you may be able to get that big flat screen TV for the reception room. March & April Seminars: ……………………………………………….. This Week in Dentistry from the ADA:…………………….. Transfer of value’ regulations issued! ADA CERP speakers exempted. Washington—The Association is reviewing transparency regulations that require reporting of certain payments or transfers of value to covered physicians and teaching hospitals. Dentists are not exempt from the Sunshine Act final rule published in the Feb. 8 Federal Register. Product Review – Sockit (Gel)………………………………. •Apply SockIt! to the affected area immediately after the procedure. •For optimal wound care and comfort, instruct patient to apply SockIt! to the affected area at least 4 times per day, until the syringe is empty. •Apply enough gel to cover the affected area; a thin layer will adhere to the tissue. •SockIt! contains no drugs, has no toxicity or contraindications, can be used on all patient populations, and is safe when swallowed. •Send SockIt! home with the patient. Multiple extractions and immediate denture patients may require two or more syringes. •Most offices charge their patients for treatment with SockIt!. Be sure to use CDT 9630 for insurance coverage. •Send the Patient Instruction Sheet home with the patient. The Henry Schein Outlet Store:……………………………..
Handpiece system used for dental laboratory cutting, grinding and polishing. Upgraded control box electronics with advanced overload protection for improved reliability. Offers high torque and precision cutting with variable speeds up to 35,000 rpm. Handpiece incorporates ceramic-bearing technology for smooth, quiet performance. Heavy-duty, durable construction. Variable speed control. Reality Check – Dental OSA Diagnosis & Treatment! The diagnosis of sleeping disorders is becoming a major topic in dentistry. The American Academy of Oral Systemic Health considers it a central part of the “new age dentist” and by now you have been inundated with e-mails, faxes and mailings telling you how to make big $$ by offering testing and treatments. Well, it’s time to understand to real story and get past the hype. It is true that OSA (Obstructive Sleep Apnea) is grossly under diagnosed in the US population. It is also true that dentistry is the forefront of preventive medicine and early diagnosis. OSA is no different, however, don’t expect every test to result in a treatment plan but if you don’t seek you will never find. Adding an OSA screening process will produce treatment plans at a rate of about 1 appliance to 5-6 tests. However, that 1 appliance could be a $5500.00 treatment plan. Now let’s look at some of the reasons that patients won’t engage in dental treatment. Testing results do not indicate OSA. Testing results indicate sever OSA and a CPAP is required. Testing results indicate a neurological condition requiring more advanced medical testing. The patient has a high medical insurance deductable and chooses not to pay out of pocket. That is when Care Credit can come into play. The key is to screen every patient and understand the media’s role in advertising snoring appliances. Stopping a patient from snoring is not the issue, what is causing the snoring is the important part of a diagnosis. Hopefully it won’t be a life threatening condition but you will never know unless you look. Unfortunately, medical doctors don’t screen for OSA unless a patient registers a complaint, but dentists can as part of their normal medical history up-date. Screen every patient, improve their systemic health, communicate with their primary care physicians and your practice will grow. If you should have any questions or concerns please feel free to contact me at any time @ 201-321-7494 or cliff.marsh@henryschein.com.